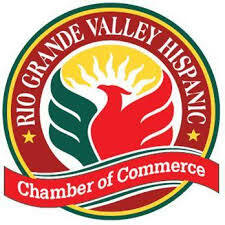 The Rio Grande Valley Hispanic Chamber Commerce is hosting a Texas Hispanic Chamber of Commerce Association conference next month in McAllen and Pharr, according to a RGVHCC news release. Chamber presidents from across the state will present and attend workshops organized by RGVHCC at the conference happening Feb. 15-16. Immigration, the economic forecast for the Rio Grande Valley and the border economy along with the maquila industry are some of the topics the local chamber has prepared. The public is invited to attend the free workshops Feb. 15 from 9 a.m. to noon at the La Quinta hotel, located at 801 S. Ware Rd. in McAllen. Attendees can meet with the out-of-town representatives to discuss matters such as starting a business in their particular region, the release stated. McAllen Mayor Jim Darling and Pharr Mayor Ambrosio Hernandez will give a welcoming address at the opening reception. To make a reservation to attend the free workshops, call RGVHCC office at (956) 928-0060.